The final tournament runs from 3–19 May as 16 teams compete for the title in the Republic of Ireland. The records, statistics and facts from more than a decade of UEFA European Under-17 Championship action. The 2019/20 qualifying round draw has set the first steps on the road to Estonia. Three players from champions the Netherlands make the Under-17 EURO team of the tournament along with two each from runners-up Italy, hosts England and Spain. "I know it is the beginning of a long path," said Halil Umut Meler ahead of refereeing the U17 EURO final in England. Seven months after England lifted the FIFA Under-17 World Cup, coach Steve Cooper is calling on his current crop to build on that success. England senior coach Gareth Southgate speaks to UEFA.com about #U17EURO and how he works with the host nation's successful youth teams. Playing in the 2002 UEFA European Under-17 Championship finals left a lasting impression on England's record scorer Wayne Rooney - the tournament ambassador for this year's finals in England. Get the inside line on the tournament and the 16 teams involved with the free digital programme. Holders Spain are among the 15 teams that came through the elite round to join hosts England in May's finals. "He's the complete package technically," Spain Under-17 coach Santi Denia said of Ferrán Torres, who is starting to make first-team headway at Valencia aged 17. "The boy is extraordinary," Hamburg great Uwe Seeler said of the club's fine 18-year-old striker Jann-Fiete Arp, who is carrying his Under-17 form into the Bundesliga. Holders Spain will face Serbia, Ukraine and the Czech Republic in this spring's UEFA European Under-17 Championship elite round after the draw was made in Nyon. The road to the 16-team 2018/19 U17 EURO finals in the Republic of Ireland has begun with the qualifying round draw made, involving 52 of the hopefuls. England won the 2017 Maurice Burlaz Trophy, the prize awarded to the nation that achieved the best results in UEFA's men's youth competitions over the previous two seasons. 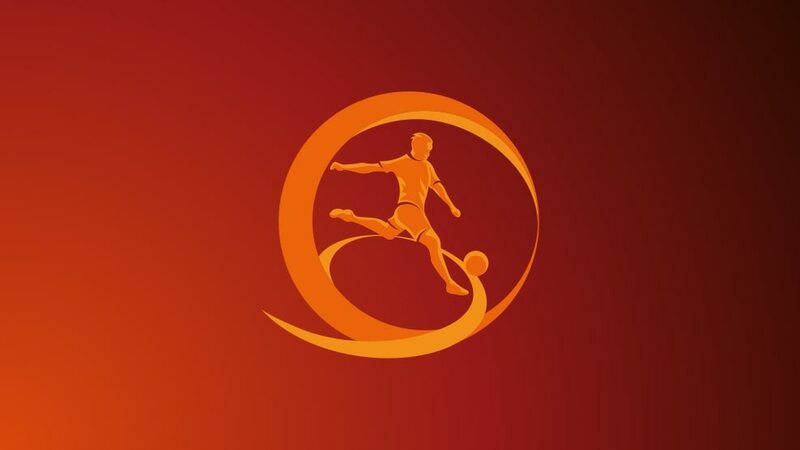 Holders Spain are among the 30 teams that have advanced from the 13 qualifying round groups to join top seeds Germany and Portugal in the elite round. England became only the second nation to win both major global youth tournaments in the same year as they beat Spain 5-2 to add the FIFA U-17 World Cup to their U-20 crown. The road to the UEFA European Under-17 Championship in England next May begins with the qualifying round: see how the 54 hopefuls will compete for the 15 berths alongside the hosts. Three No9s, a marauding full-back from winners Spain and England's five-goal winger are among ten who caught UEFA.com's eye at the 2017 UEFA European Under-17 Championship. Spain captain Abel Ruiz has finished the 2017 finals level with Portugal's José Gomes at the top of the all-time UEFA European U17 Championship goals list. Spain 2-2 EnglandSubstitute Nacho Díaz forced penalties with a header six minutes into added time, enabling Spain to claim their record third U17 EURO title. The U17 title looked to be England's until Spain made it 2-2 six minutes into added time and then went on to win on penalties – UEFA.com brought you all the drama as it happened in Varazdin. France may have lost in the quarter-finals, but Amine Gouiri has been crowned top scorer at the 2017 UEFA European Under-17 Championship with a finals-best eight goals. Spain or England will become UEFA European Under-17 Championship winners for a record third time when they go head to head in the 2017 final in Varazdin on Friday. Relishing the chance to improve as a referee at the 2017 UEFA European Under-17 Championship, Jens Maae has described his appointment for Friday's final as a "great honour". Spain and England will meet in a UEFA European Under-17 Championship final on Friday for the third time – UEFA.com looks back at what happened in 2007 and 2010. Spain 0-0 Germany (Spain win 4-2 on pens)Germany's Erik Majetschak and Lars Lukas Mai failed to convert in the shoot-out as Spain edged into their seventh U17 EURO final. Turkey 1-2 EnglandFirst-half goals by Callum Hudson-Odoi and Jadon Sancho paved the way for England to reach their fourth UEFA European Under-17 Championship final. Hungary 0-1 FranceAmine Gouiri's ninth goal in five appearances in Croatia earned France a place at the 2017 FIFA U-17 World Cup in India. Amine Gouiri equalled the all-time UEFA European Under-17 Championship final tournament goals record when he fired France ahead against Spain on Friday. Watch all eight of his strikes. Santi Denia will lead Spain out in a UEFA European Under-17 Championship semi-final against Germany for the second successive year, after Turkey aim to stop the England juggernaut. LiveWho is Germany No9 Jann-Fiete Arp? He models his game on Harry Kane and has been linked with Chelsea in the English press – meet Jann-Fiete Arp, who has scored two hat-tricks in four matches at Croatia 2017. UEFA.com's photographer at the 2017 UEFA European Under-17 Championship in Croatia has selected some of his best images from the tournament so far. Spain play Germany on Tuesday in a repeat of their UEFA European Under-17 Championship semi-final from 12 months ago, when Santi Denia's side rallied from a goal down to win 2-1. The UEFA European Under-17 Championship semi-finals have been confirmed, both games taking place on Tuesday: Spain v Germany and Turkey v England. Germany 2-1 NetherlandsJann-Fiete Arp scored with a minute remaining after Elias Abouchabaka had cancelled out Zakaria Aboukhlal's opener for the Dutch. England 1-0 Republic of IrelandJadon Sancho's long-range shot secured England a semi-final against Turkey and a tenth straight win in this season's competition. Spain 3-1 FranceAbel Ruiz scored one and set up another on a night when he and France's Amine Gouiri equalled the U17 EURO finals goals record. Hungary 0-1 TurkeyAndrás Csonka's 20th-minute own goal decided a quarter-final watched in Velika Gorica by senior national team coaches Bernd Storck and Fatih Terim. England and Germany will attempt to preserve their 100% records in the 2016/17 competition when they play the Republic of Ireland and the Netherlands respectively. Hungary and Turkey get the 2017 UEFA European Under-17 Championship quarter-finals under way before Spain take on fellow two-time winners France, both games live on Eurosport. The record for most UEFA European Under-17 Championship final tournament goals by a single player could be matched or even broken when Abel Ruiz and Amine Gouiri meet on Friday. Ukraine 2-0 NorwayAlready-eliminated Ukraine ended their 18-match wait for a first Under-17 finals win and curtailed Norway's debut campaign. The Under-17 EURO quarter-finals will be as follows: Hungary v Turkey and Spain v France on Friday, England v Republic of Ireland and Germany v Netherlands on Saturday. England 3-0 Netherlands Jadon Sancho scored two more goals in a third Group D win for England, who are joined in the last eight by the Netherlands. The 15 goals that took Germany through as Group C winners set a new UEFA men's final tournament record – and France's Amine Gouiri has also entered the history books. Republic of Ireland 0-7 GermanyJann-Fiete Arp's second finals hat-trick helped record-breaking Germany into the quarter-finals as Group C winners, with Ireland also through. Bosnia and Herzegovina 1-0 SerbiaArmin Imamović's last-minute winner ended Serbia's hopes, both these teams finishing behind Germany and the Republic of Ireland. With Spain to play fellow two-time UEFA European Under-17 Championship winners France in the last eight, UEFA.com looks back at their meeting in the final 13 years ago. France 2-1 ScotlandAmine Gouiri's 80th-minute strike, his second goal of the match, sent France through at Scotland's expense from Group B.
Faroe Islands 0-4 HungaryHungary progressed to a quarter-final with Turkey as Group B winners after an emphatic victory against the debutants. Italy 1-2 TurkeyMalik Karaahmet's third goal in as many Group A games set Turkey en route to victory and a place in the knockout stage, eliminating Italy. Spain 1-1 CroatiaDavid Čulina put the hosts ahead with a terrific volley – their first meaningful shot of the game – but Antonio Blanco levelled at the death. Twelve months ago Scotland's Jack Aitchison scored seconds into his Celtic debut – he sat down with UEFA.com to discuss "one of the best days of my life", Brendan Rodgers and U17 EURO.